Traveling with a bike, gear, and computers, I’m always looking for ways to minimize what I carry. 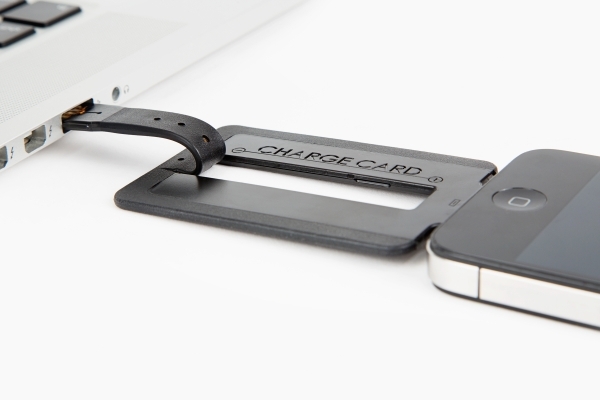 Like this credit-card shaped USB charger from our friends at Photojojo. It cost $25.00 and fits in your wallet our jersey pocket pouch. It’ll replace at least 3 cords and wall chargers.